Chapter 2, Inc. added new machinery once again! 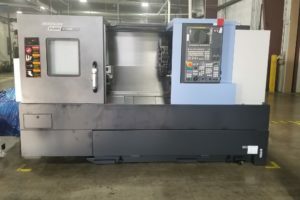 In mid June a brand new Doosan HP5100II horizontal mill was delivered. Chapter 2 is excited to announce they are adding on a 20,000-sq.-ft addition to their existing facility. This means we have new capacity for YOUR part or project. 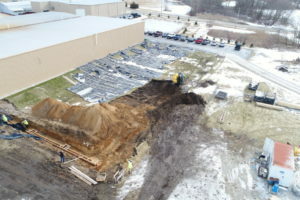 Construction has already begun with cement being poured last week. The addition is expected to be completed in the summer of 2018. Chapter 2 is at it again with the arrival of a couple new pieces of equipment showing up today! 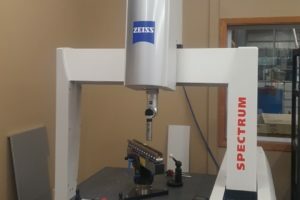 First off the dock was a new Zeiss Spectrum Auto CMM to help streamline the throughput of our inspection needs. 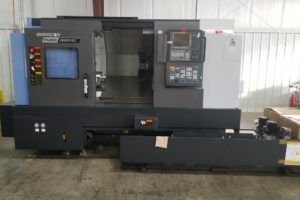 Next through the doors was Chapter 2’s first (but definitely not last) CNC purchase of the new year with a new Doosan Puma 2600 Turning Center. Stay tuned in with more new and exciting updates to come! 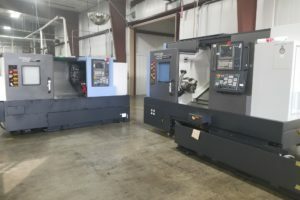 Chapter 2 has purchased another CNC Turning Center to continue to support growing customer needs. 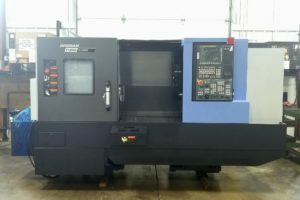 The new machining center consists of a Doosan PUMA GT2600 & Doosan PUMA 2600SYBII. Consider Chapter 2 for all your machining, automation, work holding solutions and painting needs.